Didn’t get to request one last week? Well, here’s your chance to get another FREE Sample of Infusium23 Leave-In Treatment if you weren’t able to get one. 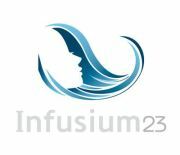 Just ‘like’ the Infusium23 Facebook page, click on the Free Sample tab and request your FREE 10 ml sample and a coupon! Please allow 4-6 weeks for sample delivery. While Supplies last. US & Canada residents only.